“The new act actually highlights and remedies a number of practical and statutory weaknesses in the current act and the proposed changes will eradicate any existing blurred lines, making it easier for landlords and tenants to comply. Area Specialists on the Atlantic Seaboard for the group believe that legislation has been moving in this direction for a while and that many will welcome a clearer definition of the law. Attorneys, explains the main changes to the act and takes a closer look at several of the proposed amendments and their implications for landlords and tenants. Locking the tenant out of the property – you may not keep a tenant from entering the property without a court order. They strongly urge both landlords and tenants to familiarise themselves with the act as there are a number of clauses that could easily trip up both parties: “For instance, Section 4A (9) expressly prohibits subletting of the leased premises, without the consent of the Landlord. 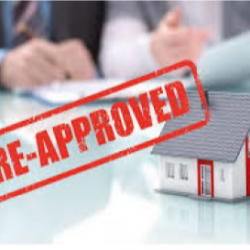 They concludes: “Although no firm date has been set for the amended act to come into operation, landlords and tenants will be required to comply with the new requirements within six months from the date of commencement.